September is national suicide prevention awareness month, and that makes this month a great time to remember the importance of practicing self-love in our daily lives. Self-love is the true key to happiness with ourselves and within our relationships and many people aren’t aware that true happiness really does come from within. There are many things you can incorporate into your daily life to encourage the practice of self-love. 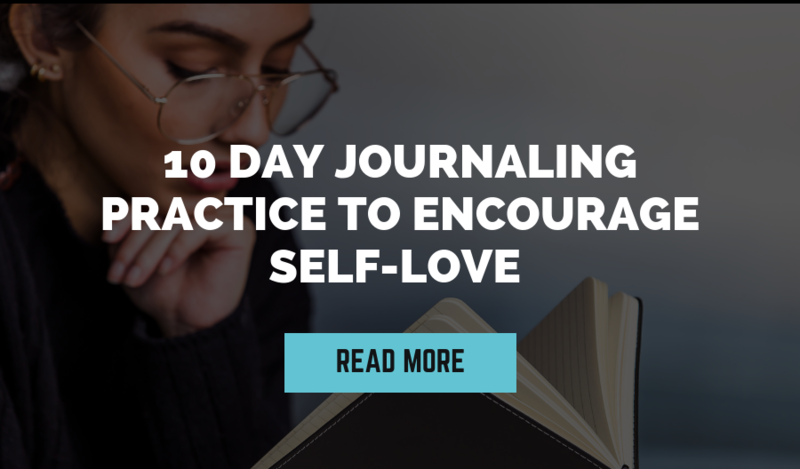 If you’re new to the concept of actively practicing self- love, a simple journaling exercise is a great way to get you into this healthy habit. If the act of journaling seems foreign to you, we’ve put together a 10-day journaling exercise to help you get into the swing of things. Day 1 – Choose a time and space. On day one, pick out a quiet space and time of day where you can really concentrate on the task at hand. This could be alongside your morning coffee each day or while you are winding down for bed at night. Try to pick a time and place free of distractions so you can really hone in on your thoughts and feelings. Day 2 – Free write. For your second day, let yourself free-write for 15-20 minutes, jotting down anything and everything that comes to mind. This is especially helpful for those of us who tend to stare at the pages of a notebook with writer’s block. It doesn’t matter how silly it is if you’re thinking it write it down! Think about what makes you happy, how you want your day to look, or reflect on the past day. Day 3 & 4 – Dig into your fears. As confident as we might think we are, there’s always something that we might be insecure or frightened about. Part of the self-love process is realizing these insecurities and that we are greater than these fears. During day three and four, grab your notebook and jot down anything you might be unsure of or feel might be holding you back in any way. It’s never fun admitting to insecurities but remember that these words are between you and your journal and your journal will never be one to pass judgment. Day 5 & 6 – Write about your strengths. Interestingly, many people find it’s even more difficult to write about their strengths than their insecurities and weaknesses. Remember, this is between you and your journal so this is a great time to practice being honest with yourself. Day 7 & 8 – Reflect. • Where does this insecurity or fear stem from? • Try to pinpoint the time or event where this insecurity started. Looking back, what could have gone differently to avoid your feelings about this insecurity today? • Now that you’ve pinpointed the source, what can you do to overcome this fear? • What makes this a strength of mine? What validates my strengths? • How do I use my strengths? Can I do more to help others with the talents and strengths that I have? • How can I use my strengths to help me overcome my fears? Day 9 – Self Love. After reflecting, day nine is all about self-love! Think about what makes you great as a person and why you are deserving of self-love. We are often our own biggest critic so it’s important, to be honest, and kind to yourself during this part of the exercise. Day 10 – Take some time out for yourself. On day ten, plan to do something for yourself. Go out to eat at your favorite restaurant, or catch a movie you’ve been wanting to see. Amidst hectic schedules and increasingly busy lives, taking time out for oneself is vital to your mental and physical health. Once you’ve completed the journaling exercise choose to repeat it as often as you like. If you’re ever feeling stressed or overwhelmed, this exercise can be used to help bring you to a clearer more positive state of mine. Choose to make the practice of self-love a part of your everyday life for a happier, healthier you.